Volkswagen's Electrify American subsidiary has begun to invest some of the $2 billion that VW committed as part of its diesel emissions scandal settlement. When Volkswagen agreed to the agreement that ended the automaker’s self-inflicted emissions scandal in late 2016, one of the provisions was that the automaker makes a substantial commitment to the build-out of the country’s zero-emission – electric – infrastructure. The agreement called for the automaker to put up $2 billion. You wouldn’t think that a $2 billion investment in zero emissions level (ZVL) infrastructure would create as much noise, but this one did. The electric vehicle charging industry – existing – was upset that VW wasn’t locked out of the competitive end of the project because the smaller firms believed VW’s presence would keep them out of projects. And, judging by the way things have been unfolding, who’s to say they are wrong. One thing that is known, though, is that Volkswagen’s subsidiary is Electrify America is taking care of VW’s business as the automaker has announced partnerships with more than 100 major retail, convenience and refueling stations across 25 states to install ultra-fast vehicle chargers. The partners include Target, the Brixmor Property Group, Kimco Realty, Sheetz, Casey’s General Stores, DDR Corp., and Global Partners LP’s Alltown. To prove that Electrify America is a result-oriented organization, they recently cut the ribbon on its first “commissioned” fast-charge station in Chicopee, Mass., which is not far from Springfield, the largest city in western Mass. The station is on the property of the Brixmor Group. 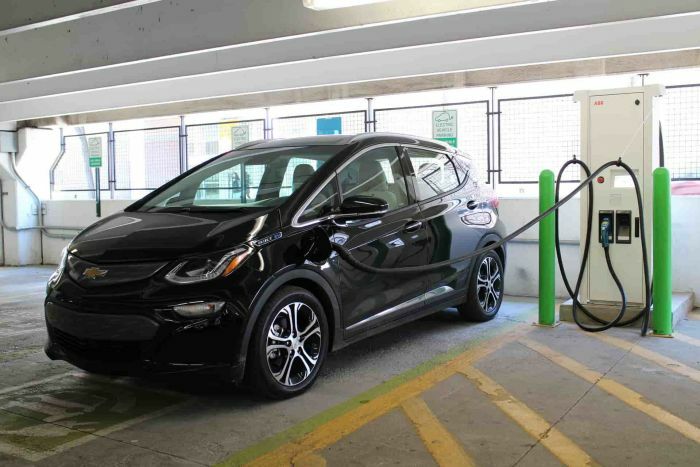 Electrify America has been very busy lately as they recently announced an agreement with Walmart to install fast-charge stations at the retailer’s sites. Further, they also announced more than 200 more charging locations during Cycle One of the infrastructure investment plan.